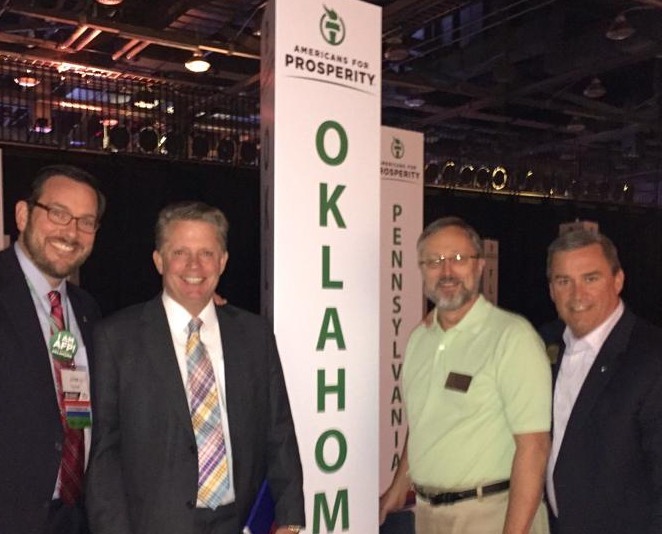 at the Americans For Prosperity National Conference, this past weekend. Mark Costello, the state’s labor commissioner, worked tirelessly for better mental-health treatment for his son, who fatally stabbed him on Sunday evening. The Oklahoma labor commissioner fatally stabbed by his 26-year-old son refused to give up on him. Instead, he struggled to find longer-term mental health treatment for the young man’s schizophrenia, sources told The Daily Beast. “Mark was trying to do the right thing to help his son, Christian, because of his mental health issues. Nobody in their right mind would do what [Christian] did yesterday,” a source close to the family told The Daily Beast. “Christian suffered some paranoid delusions regarding his parents, that they were plotting against him, that sort of thing,” the insider added. Next Post: Costello family asks mourners to support Mental Health Group, NAMI Oklahoma, with memorial gifts.